The apartment is for nights. 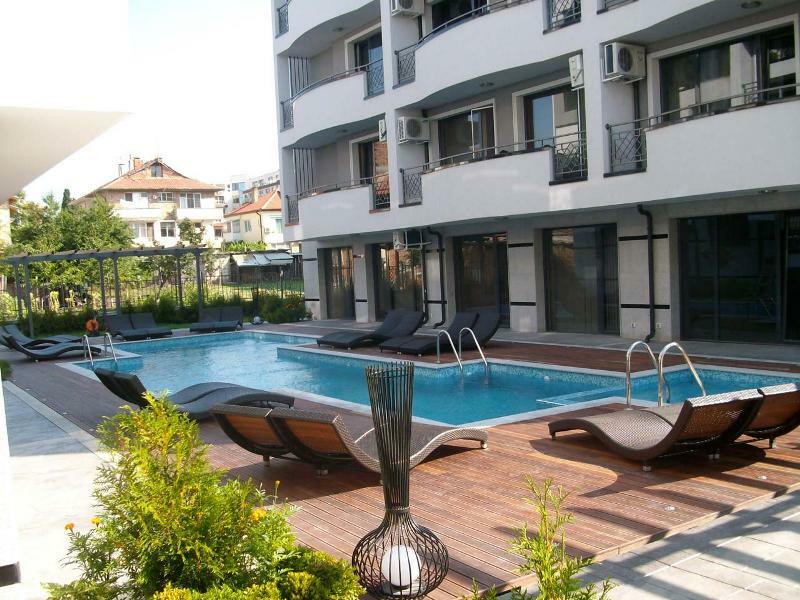 It's located in the beautiful neighborhood Sarafovo, near the city of Burgas. The Apartment is 50meters away from the beach and 100meters away from the town's center. The Buildings have got a swimming pool, security and camera security. The Apartment have got a large living room with kitchen, a separate bedroom, bathroom and toilet. two balconies with stunning view and two air-conditioners. The kitchen is fully furnished with a fridge, microwave-oven and oven. The price includes electricity, water, cabel TV, and Internet. Capacity - 4 people.